Light the candles and shut the door, The Wrong Train is a deliciously creepy and terrifyingly good collection of scary stories, for fans of Patrick Ness, R.L. Stine, and Emily Carroll. Imagine you’ve just managed to catch your train and you realize it’s the wrong one. You’d be annoyed of course, but not scared . . . yet. 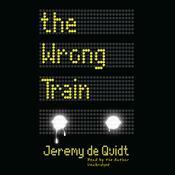 Imagine you get off the wrong train at the next station hoping to catch one back the way you came. But the station is empty. Again, you’d be annoyed, but not scared . . . Yet. Imagine someone comes to the station, a stranger who starts to tell you stories to help pass the time. But these aren’t any old stories — they’re nightmares that come with a price to pay. And you want them to stop. Scared yet? You will be. 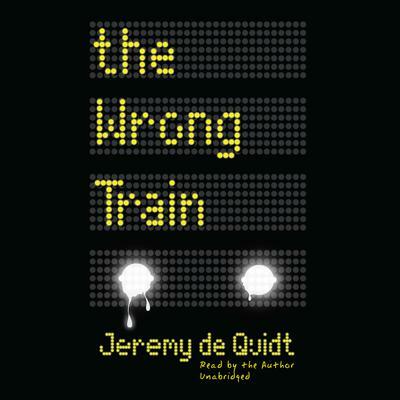 Jeremy de Quidt is the author of The Toymaker, The Feathered Man, and The Wrong Train.